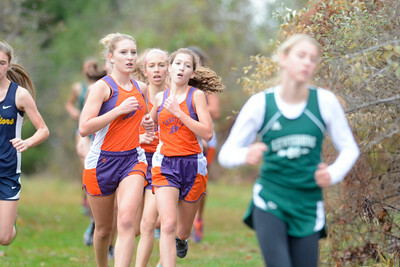 Danville's Katelyn Maffei, left, Monica Amarante, and Marissa Maffei, strong grouping helped the Ironmen to the District 4 Class AA team title on Thursday at Bloomsburg University. 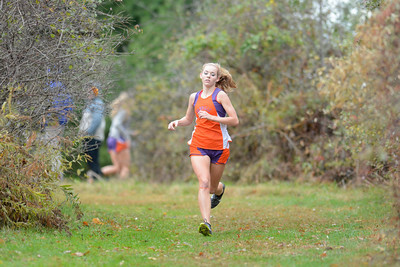 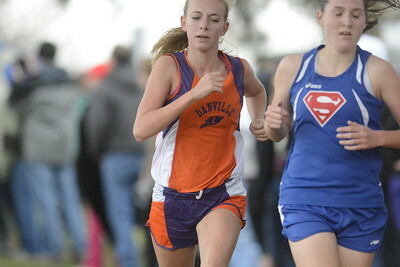 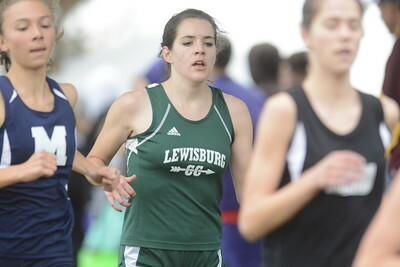 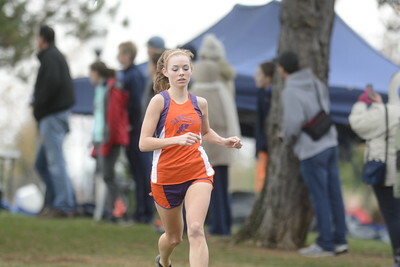 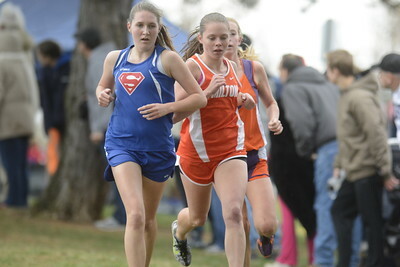 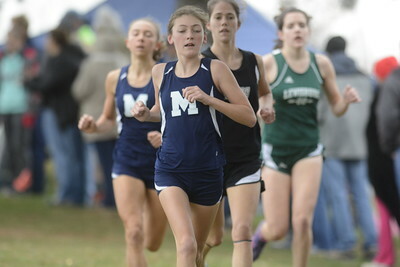 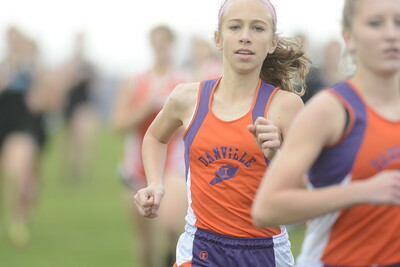 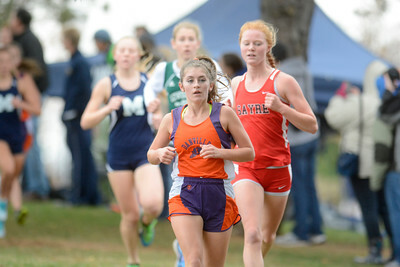 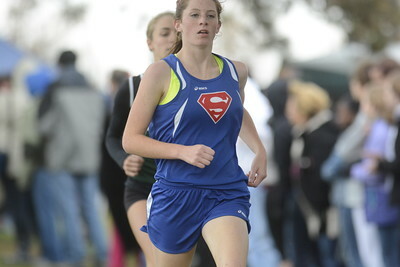 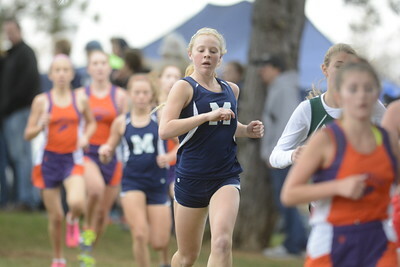 Danville's Mackenzie Jones runs all alone in front during Thursday's PIAA Class AA meet at Bloomsburg University. 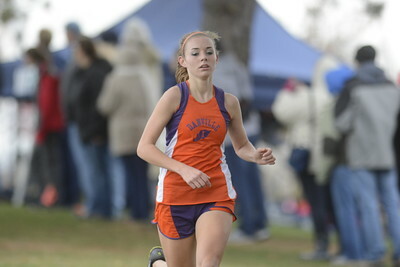 Danville's Mackenzie Jones smiles as she crosses the finish line to win her first PIAA District 4 Class AA title on Thursday at Bloomsburg University. 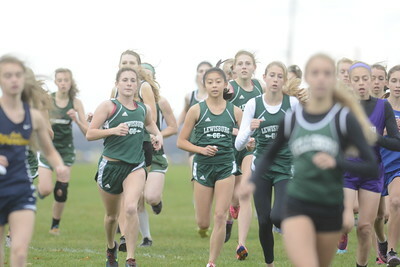 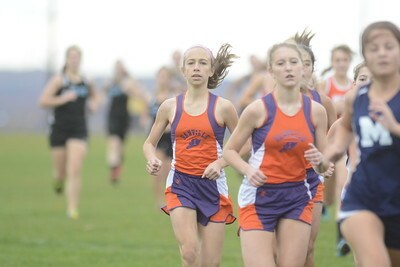 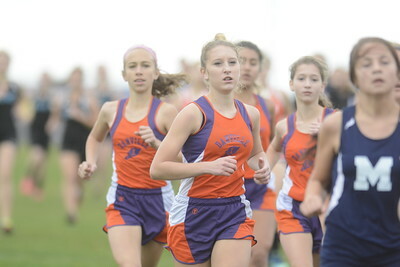 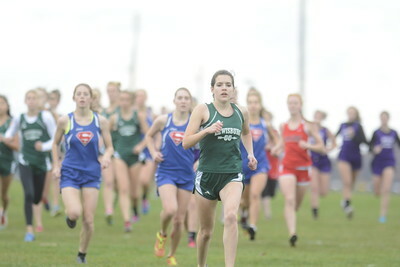 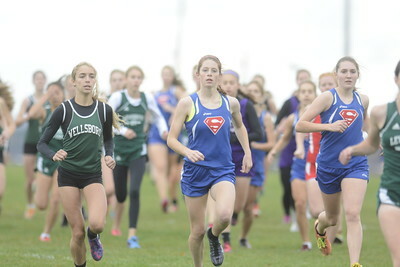 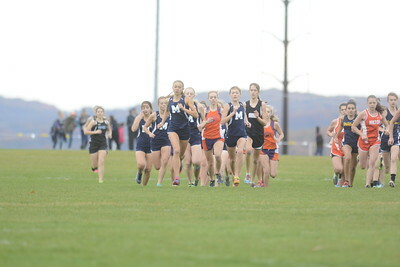 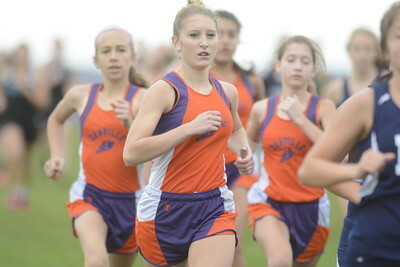 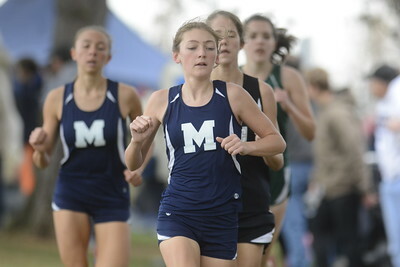 Danville's Abby Foster leads a group of runners during Thursday's PIAA District 4 Class AA girls meet at Bloomsburg University.